hmmm so many great choices! After the last pair of plain ribbed socks? I needed something with a little more Interest. Flash. Pizazz. Something less mind numbing. I had purchased a copy of the Paul Atwell Socks from Emily over at the Family Trunk Project some time ago, and stashed it away for a rainy day. Well I guess it must be rainy enough this week? I decided to cast on a pair. I really like the ?gull? stitch pattern. It looks complicated, but really isn?t. It?s a 4 row repeat with a ?loose? float that you tie down by catching in a stitch in 2 rows time. I also like that these are cuff down. I don?t have a problem with toe-up designs, but I just find sometimes that the leg and cuff of a sock can be the most time consuming part? where you have pattern spanning the entire row for such a long way (as compared to the foot where usually half of the stitches are plain stockinette? that seems to make things run a lot faster for me!) Surprisingly enough, I don?t even mind the seed stitch that lines up between the gulls. 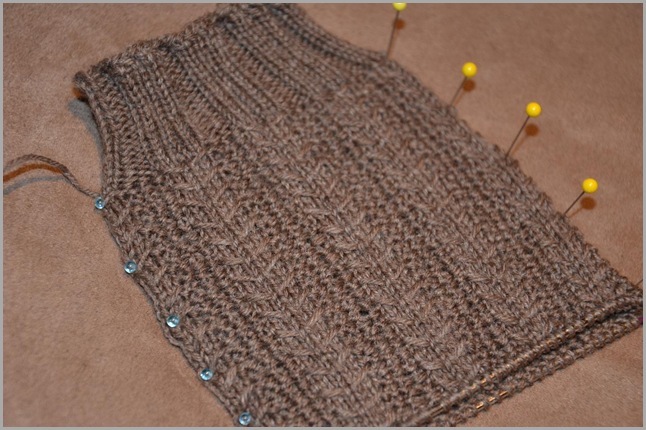 This is weird for me, because as previously stated, I find knitting ribbing to be heinously boring, and seed stitch is just as bad. I can do up the 4 row repeat (in a 72 stitch round) in a flash, and find the whole thing quite amusing and engaging. I?m a messed up knitter. Of this, I am aware. 2 more Gull repeats to the heel! These are going to fly off the needles? which is surprising, since I?m making them ?Man Sized? in the 72 stitch per round, likely Men?s Size 10 Shoe. 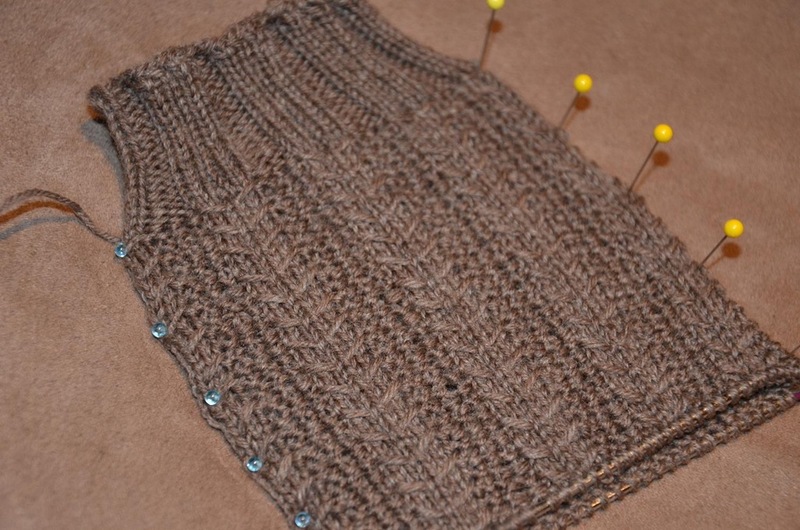 I?ll never know why I can knit complex patterns so much more efficiently than ribbing. huh. Makes zero sense to me. 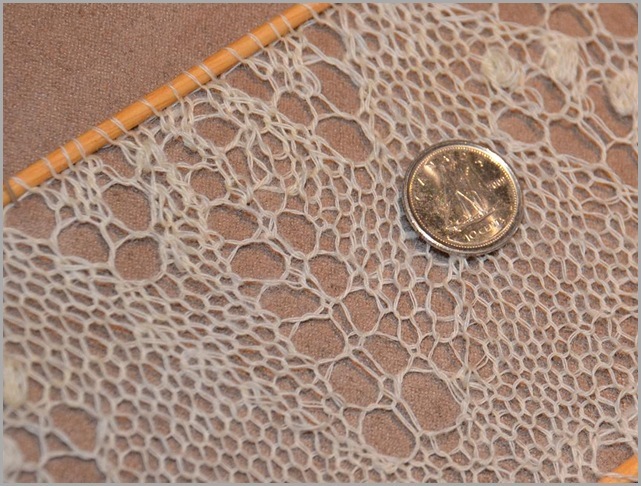 I have been in love with Estonian Lace from the second I laid eyes on it. It doesn?t matter which pattern? a leaf, vine, geometric, lily of the valley, paw prints? I love them all. It?s been in the back of my mind for years now that I neeeeeed to spin the finest yarn I can and go ahead and just knit one of these. As close to the authentic ones as possible. I know it will never be 100% right, as I can?t get the right materials here, and I?ll likely not be visiting Estonia anytime soon? but a girl can dream, Right? At the last Maritime Handspinners? Retreat in October 2011, I bought an 8 ounce bag of Romney washed locks. 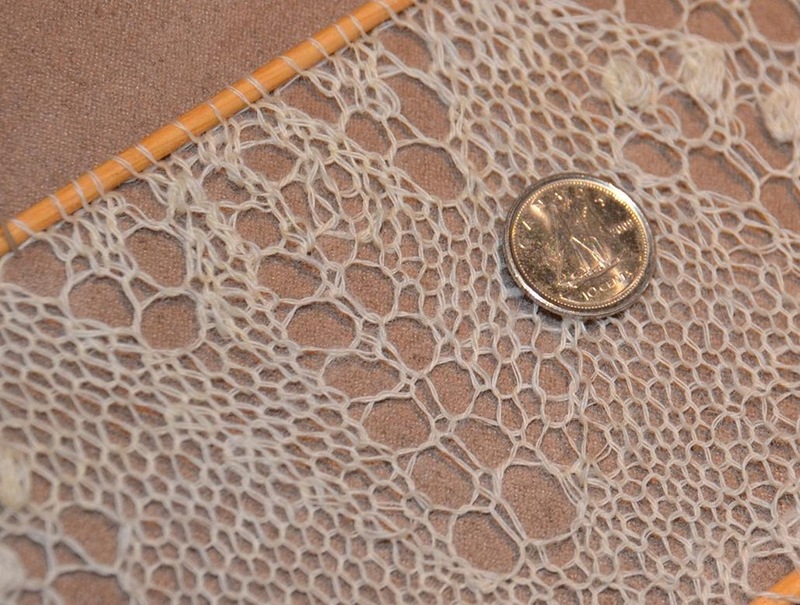 I wanted to try spinning for lace directly from the lock (as do some of the other lace spinning geniuses? ahem Margaret Stove cough) and see how well I could do with it. This wool isn?t the softest one I?ve ever worked with, but the locks are overall quite clean, fairly free of VM, and have a nice bouncy texture. I?ve been just flicking them open to untangle the tips, and going at it with a Bosworth Mini. 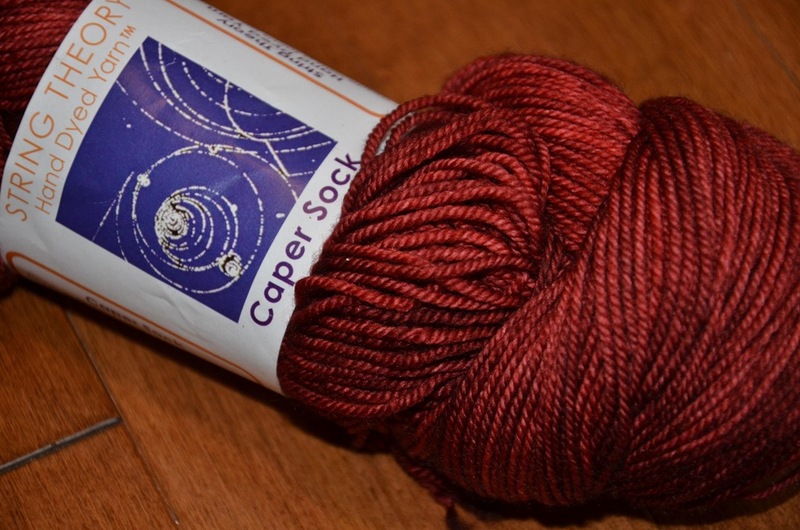 So far, I think I?ve spun maybe 200 yards of it (very fine 2 ply) and just decided to cast on and give it a try in pattern to see if it ?works? or not. I didn?t wash to set the yarn either. I figure blocking will even that part out for me. I?m not sure how much of the wool I?ve used so far, but there does seem to be a fair bit of loss. I?m honestly just hoping that I?ll get enough for the shawl out of 4 ish ounces (since I?m estimating I?m losing 30 ? 40 % of the wool? that should be possible out of the 8 ounces). 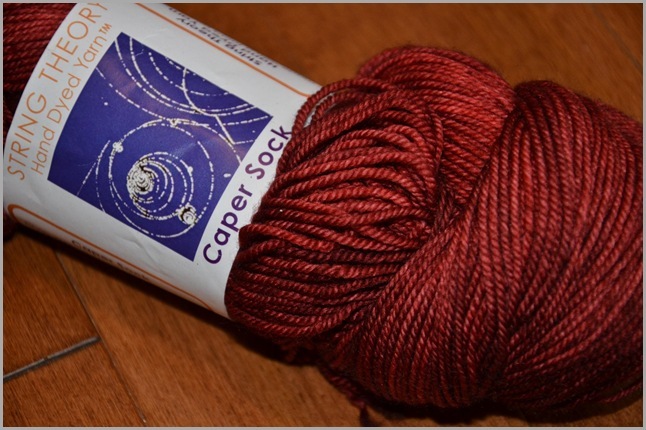 My plan (if you can actually call it one) is to knit up this small sample ball and then measure and weigh it and extrapolate from there whether I?ll have enough to carry out the rest of the shawl. I figure if I do run out? I can just make a borderless plain center panel. That would still be quite striking, even without a border. 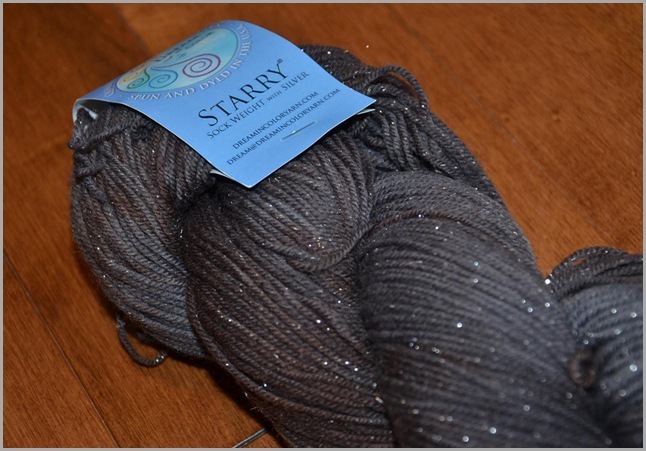 I?m using my Woody Knitters Straights size 3 mm, and I?m following the Haapsalu Shawl Book for the number of stitches, cast on recommendations, motifs, and general encouragement. I chose to use the ?Double Lily of the Valley? chart as my main center design, with a 4 stitch garter border all around. 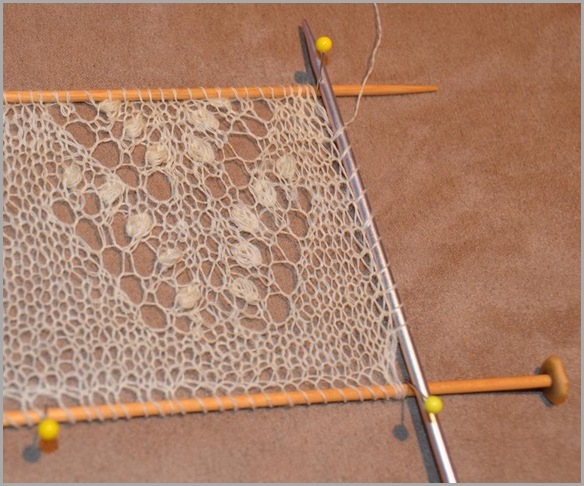 Then I?ll knit a border lace separately and sew it on to the central rectangle. 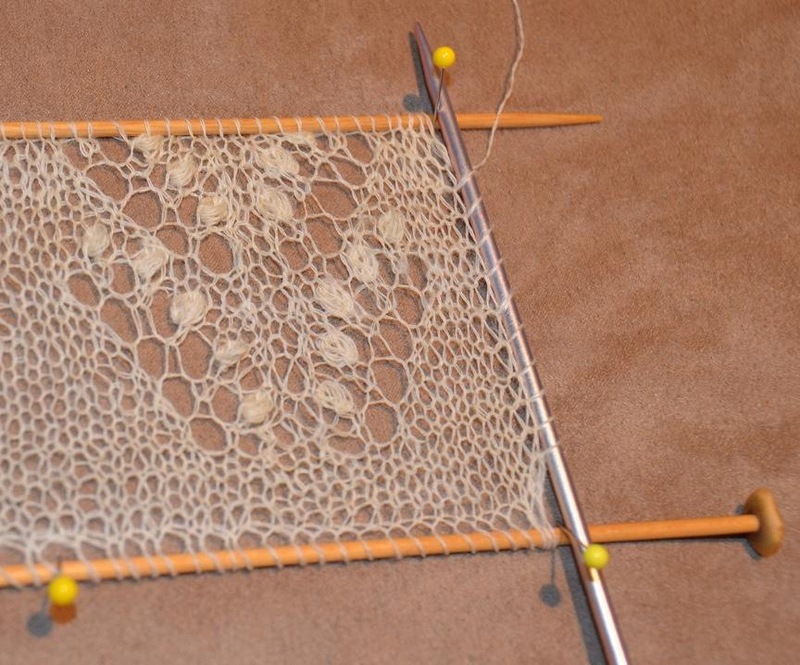 This aspect scares me a little, but I tried a sample tiny shawl last year, and my sewn on border looked ok in the end.